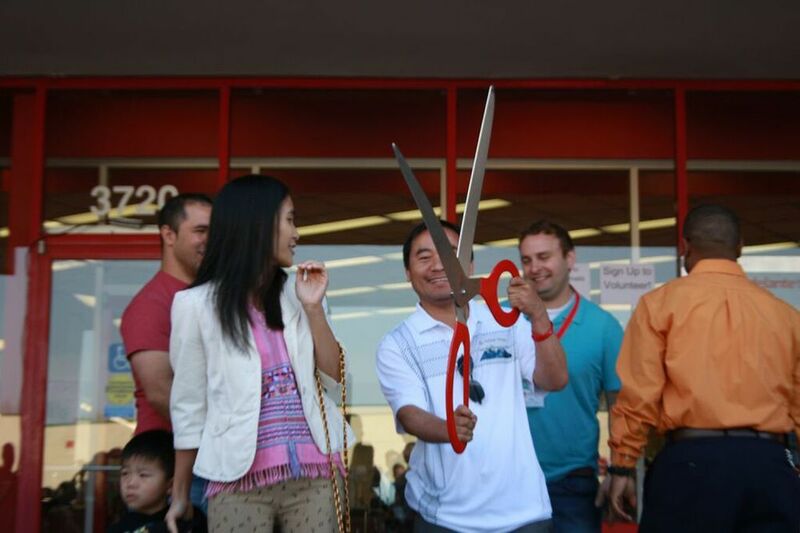 Adelante Thrift Celebrates Transformation and Collaboration at Our Grand Opening! 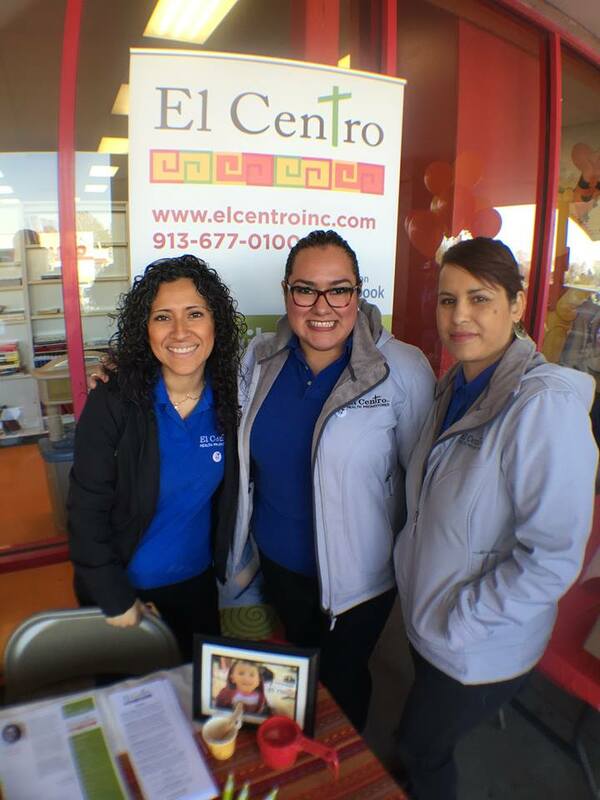 by Jarrett Meek, Pastor & Executive Director, Mission Adelante, Inc.
Few times have I felt more supported or more proud than I did at Adelante Thrift's grand opening celebration the Saturday before last. Local leaders, organizations, and businesses gathered around to pray with members of our community in four languages and watch as a group of community leaders from four different countries cut the ribbon together and announced the beginning of this new sustainable ministry initiative. I was proud of the Mission Adelante community for having realized a dream and for having become owners and stakeholders of a project that is much bigger than any of us imagined. The larger KCK community showed up in a big way to support us that day. Partner organizations whom we've known and worked alongside for many years were present to cheer us on. More recent partners were there as well, making the atmosphere festive and fun. 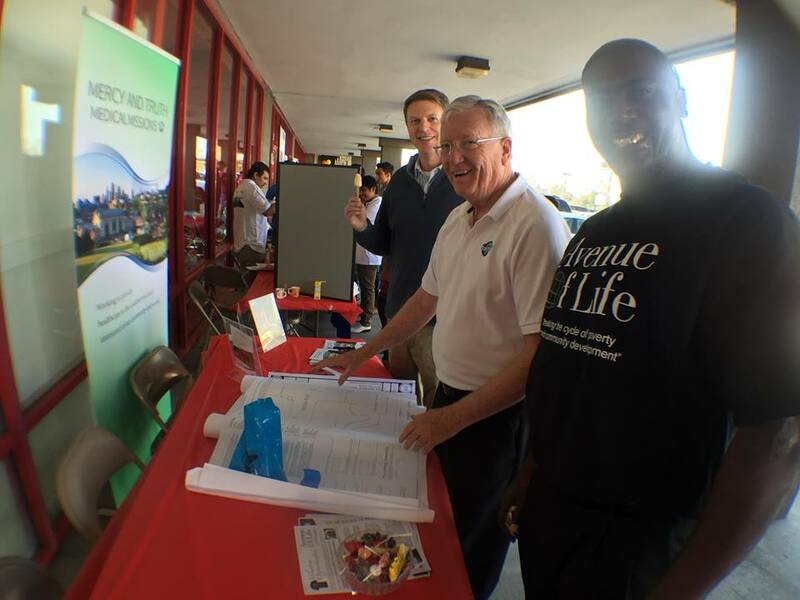 The wide variety of organizations that hosted booths in front of the store during the first several hours of the event symbolized, in many ways, the transformation God is doing in our city. 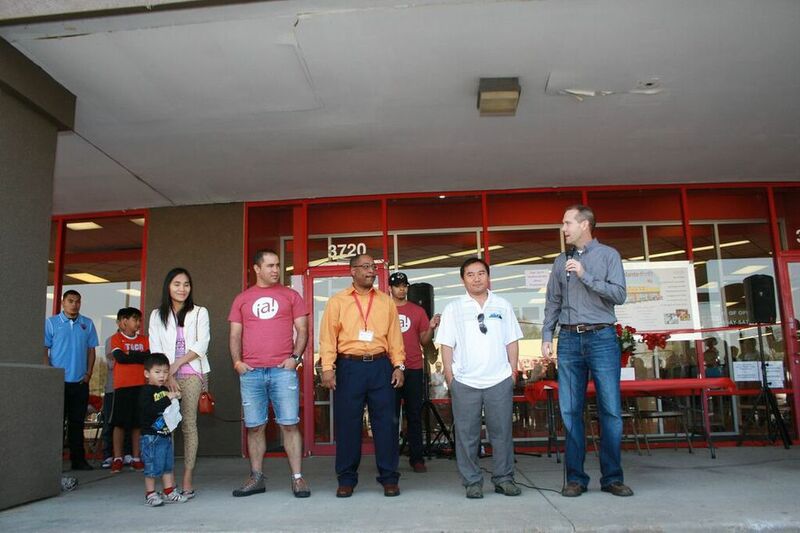 From immigrant-owned businesses and a small college to youth sports leagues, Christian ministries, and a family-owned grocery store that has been in the neighborhood for more than 50 years, our community came together to celebrate collaboration and transformation! A representative from the Mayor's office came by, as well as a city commissioner, a Kansas State Representative, and a the President of our neighborhood association. As the day unfolded, balloons, coffee, ice cream, mango juice, and fresh produce were shared outside the store, while a steady flow of customers enjoyed the fun and some pretty amazing deals inside. Meanwhile, volunteers sorted, racked and priced clothing and other items in our production area, cared for customers, and reorganized our warehouse. As I reflect on this day, my heart is filled with gratitude to our Lord for all of those who contributed to make this dream come true: for board members, donors, contractors, community members, volunteers, partner churches, partner ministries and businesses, and the staff of Mission Adelante and Adelante Thrift. What a joy it is to be part of such a thriving and vibrant community! We are indeed transforming our community together! Jesus is indeed transforming our community! Volunteers to serve weekly during our summer trimester, between the week of June 1 and the week of August 3. High-school Teens Club: 2-4 mentors--supporting roles this summer, with more in-depth roles starting this fall. In modeling our commitment to community development, we want our grounds to reflect the beauty and pride of ownership of our community. Please contact Sarah at sarahw@missionadelante.org, if you would like to donate some flowering plants or ground covering to beautify our space and help us put our best face forward. 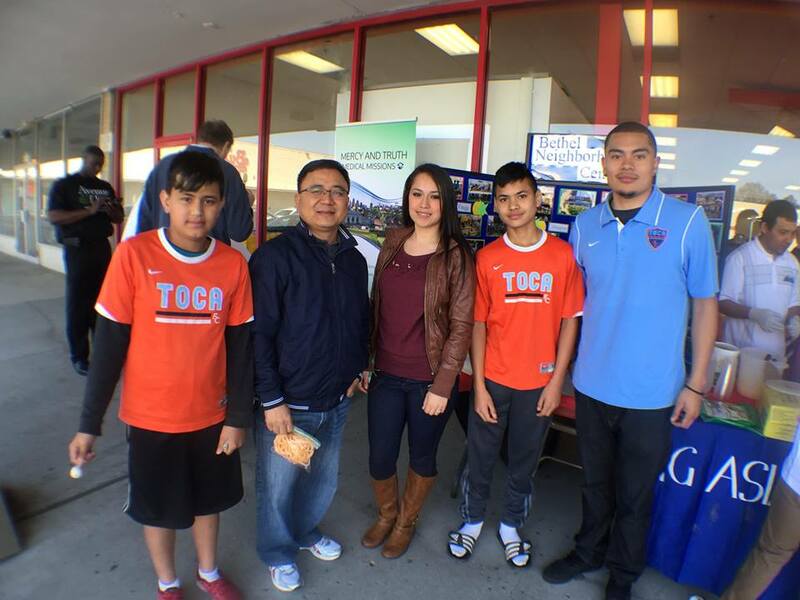 Older PostAdelante Thrift's Grand Opening: A Celebration of Collaboration! April 11th, 9:45 a.m. to 6:00 p.m.